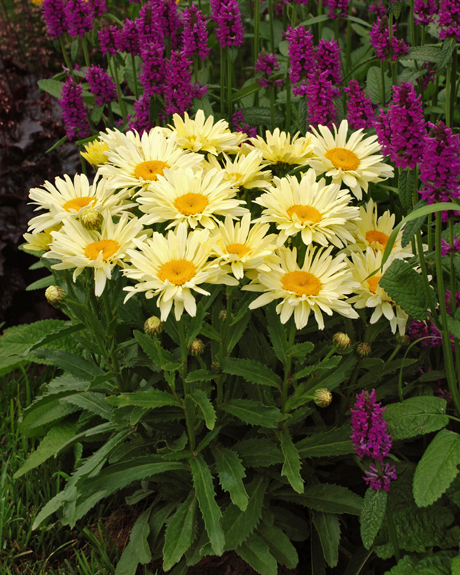 Two new leucanthemums (aka shasta daisies) available in garden centres this month are ‘Victorian Secret’ and ‘Banana Cream’. No prizes for guessing which one’s which. ‘Victorian Secret’ is slightly more compact at 35cm high, making it ideal for the front of borders or low edging. 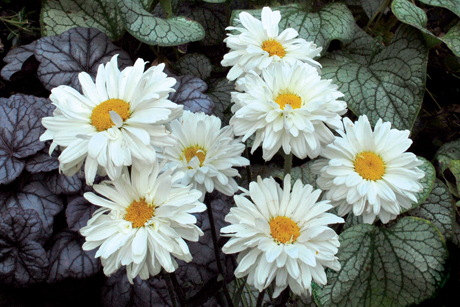 It sports a thick ruffle of white petals around a central bright yellow eye. ‘Banana Cream’ starts out lemon-yellow then fades to butter-cream with age. It, too, has the characteristic bright yellow eye. Both plants thrive full sun and well-drained soil. Available from garden centres nationwide. What to plant this week? Pure white shasta daisies, large round-headed hydrangeas (or try the cone-shaped Hydrangea paniculata) and gold and chocolate-coloured cosmidium. Shasta daisies (Leucanthemum x superbum) produce pure white blooms with yellow centres on tall stems. 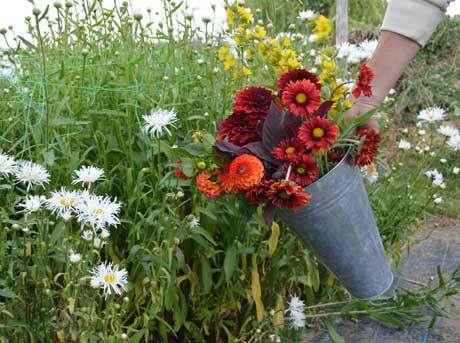 They flower profusely over summer and are excellent cut flowers. Drought tolerant once established, they like full sun and free-draining soil. Look for plants at your local garden centre. Hydrangeas are currently being shipped into garden centres in huge quantities, so if you haven’t already, get one in the ground now. They like a rich, free-draining soil and plenty of moisture, so make sure you provide ample water while their root systems are developing. Flowers and foliage will wilt if water is lacking but they’ll soon perk up once given a drink. Part shade is best, although Hydrangea paniculata tolerates more sun. The mophead hydrangeas (Hydrangea macrophylla, shown here) are the most commonly grown hydrangeas, with their big fluffy balls of pink, blue or white, but Hydrangea paniculata is worth growing too, with its pyramid-shaped clusters of white flowers that mature to pink. Cosmidium burridgeanum looks like a refined coreopsis with its chocolate centres and gold tips. It’s an easy-to-grow annual, excellent for both the border and the container, and makes a great cut flower. Available from Egmont Seeds.